As the public interest in holistic medication continues to grow, cannabis is undeniably a front runner, an all-natural treatment option that offers relief for a vast range of ailments. The therapeutic use of cannabis is not a new idea, either. In addition to the agricultural uses of hemp, the first therapeutic use of cannabis dates back to the 2700s BCE. The list of therapeutic uses for cannabis is too long to cover fully, but the following five conditions highlight cannabis’s vital role as a natural alternative or accompaniment to Western medicine. Multiple sclerosis is an autoimmune disease that afflicts approximately 100,000 Canadians. Attacking the central nervous system, MS destroys the nerves’ protective cover, causing inflammation and interrupting nerve impulses. Cannabis can help sufferers of MS in many different ways. Anti-inflammatory cannabinoids like THC and CBD calm the immune system, preventing dangerous inflammation of the brain. CBD can also lessen the muscle spasm and seizing that afflicts about 20 percent of MS sufferers. As if these symptoms weren’t enough, people with MS also deal with gastrointestinal issues, which cannabis can quell. 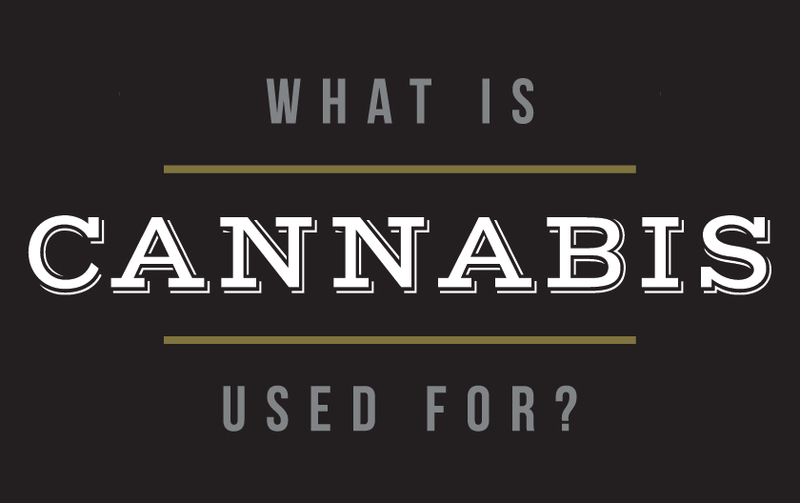 By binding to cell receptors in the body, cannabinoids stop nausea, diarrhea, and vomiting. The medication’s well-known painkilling properties guard against the pain signals sent through the nerves in response to individuals’ deteriorating tissues. A chronic neurological disorder that causes unpredictable seizures and other neurological problems, epilepsy affects each affected individual differently. For the most part, the origins of this disorder are unknown. Cannabis has proven to be an enormous boon to people suffering from epilepsy. The most famous case is that of a little girl named Charlotte, who was plagued by more than 1000 grand mal seizures each month. When her parents began treating her with CBD oil – made from a cannabis strain bred especially for her, called Charlotte’s Web – the little girl’s seizures decreased to only two or three per month. While such a dramatic improvement is not seen in every individual, cannabis appears to have anticonvulsant qualities that match or even rival pharmaceutical drugs, without the dangerous side effects of the latter. Mood disorders such as depression and anxiety are caused by chemical imbalances of important neurotransmitters in the brain. Cannabis can help rebalance and encourage production of these compounds, and it can do so without the long list of potentially harmful side effects that accompany pharmaceutical options. The relaxing qualities of cannabis can help people struggling with anxiety. The cannabinoids in the plant match up nicely with our body’s endocannabinoid system, which is believed to play a large role in regulating stress and anxiety. THC is very similar to anandamide – a deficit of which can cause anxiety – and can help replenish our stores of this essential neurotransmitter. Low doses of THC can also encourage the production of serotonin, the neurotransmitter that heightens mood and prevents symptoms of depression. A disease that causes inflammation and stiffness in the joints, arthritis most often develops later in life, but can affect anyone at any time. Though there is a lack of scientific proof due to a dearth of funding for studies, anecdotal evidence suggests cannabis can be hugely beneficial to sufferers. By activating the CB2 receptors in the body, a greater number of which seem to be present in arthritic joints, THC and CBD cannabinoids minimize inflammation and reduce pain. Research is currently underway to find out if cannabis is doing more than just blocking the reception of pain – it’s possible this natural medication might assist in joint repair, as well. If you suffer from MS, depression, epilepsy or arthritis, or are struggling with any other ailment, the knowledgeable staff on site can discuss with you the best cannabis products and the ideal dosage for your condition.